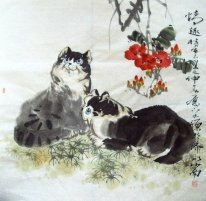 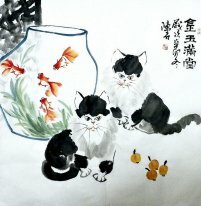 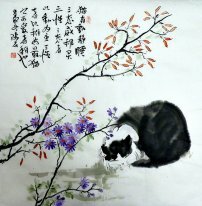 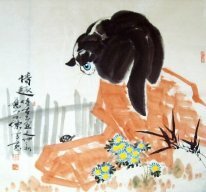 Chinese Cat Paintings for sale! 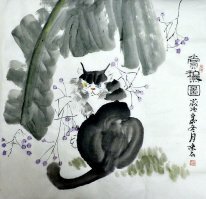 Chinese Peony, Butterfly and Cat Fengshui Painting/Scroll: this combination image is called "耄耋(mao die: the octogenarian elder)" and symbolizes longevity. 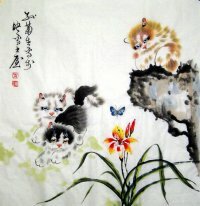 Because "cat(猫)" sounds like the word "耄" in Chinese, and "butterfly(蝶)" sounds the same as that of "耋". 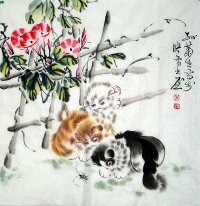 Besides, peony is a symbol of nobility and wealth. 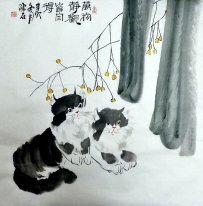 So the whole combination picture symbolizes longevity, health and riches. 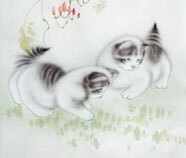 China ancient people often presented this cat painting as a gift to the aged for its nobility and longevity meanings. 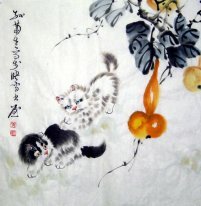 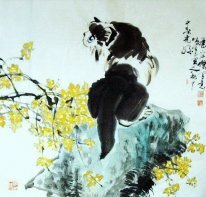 Chinese White cat Painting: represents "good luck". 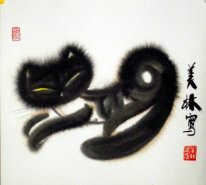 Chinese Black Cat Painting: can ward off evil and dispel disasters. 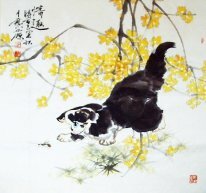 Chinese Gold Cat Feng Shui Painting: making a lot of money and having a brisk business. 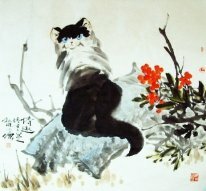 Chinese Blue Cat Painting: a wish for the booming business. 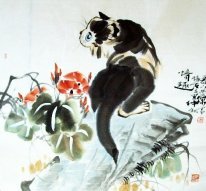 Chinese Painitng of Red Cat: can dispel disasters and diseases.